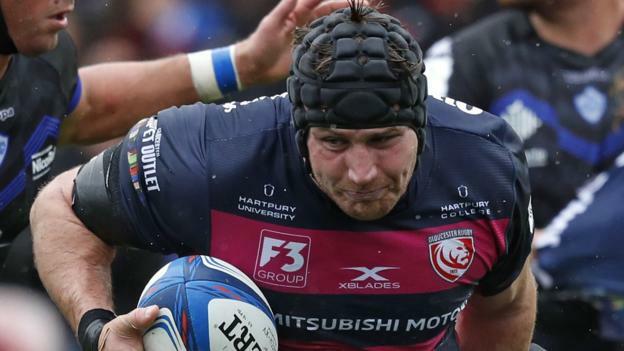 Gloucester number eight Ben Morgan is included in the England squad for the autumn internationals, but there is no place for team-mate Danny Cipriani. Morgan, 29, last featured for England in 2015, but earns a place amid a back-row injury crisis. Bath’s uncapped wing Joe Cokanasiga, 20, is one of eight uncapped players in the 36-man squad. Dylan Hartley and Owen Farrell, who led the team this summer in Hartley’s absence, are named as co-captains. Bath’s 21-year-old Zach Mercer, who led England Under-20s to their age-grade World Championship final in 2017, is the only other number eight in the squad alongside Morgan. Morgan’s last England appearance was in the World Cup pool-stage defeat by Australia in October 2015 but he told BBC Sport earlier this week that he still hoped for a recall, despite apparently being out of favour with coach Eddie Jones. Cipriani, who started England’s victory over South Africa last time out, was named as the Premiership’s player of the month for September, but is left out in favour of Farrell, Leicester’s George Ford and Saracens utility back Alex Lozowski. Wing Chris Ashton is included despite being yet to make his competitive debut for Sale. The 31-year-old, who last played for England in June 2014 and returned from French side Toulon this summer, was banned for seven weeks following a dangerous tackle in a pre-season friendly. England face South Africa on 3 November before matches against world champions New Zealand, Japan and Australia on successive weekends. “We can only control what we can control and injuries have happened,” said coach Eddie Jones. England have been hit by a raft of injuries with number eight Billy Vunipola, prop Mako Vunipola, flanker Chris Robshaw and second row Joe Launchbury all on the sidelines. Nathan Hughes, who would likely have stepped in to replace Billy Vunipola at number eight, is serving a six-week ban for punching an opponent, while prop Joe Marler, 28, unexpectedly retired from international rugby last month. In the backs, Bath pair Jonathan Joseph and Anthony Watson are both ruled out with injuries while fellow British and Irish Lion Ben Te’o is only expected to make his comeback from a thigh injury this weekend. After winning their first 17 Tests under coach Eddie Jones, England have lost six out of their past seven games, finishing fifth in the Six Nations and losing their summer Test series against South Africa 2-1. RFU chief executive Steve Brown admitted in July that the team’s form was “disappointing” but backed Jones to lead England to the World Cup in September 2019. England, who failed to get out of their pool at the 2015 tournament, have been drawn alongside France, Argentina, the United States and Tonga in Japan.